Alas! 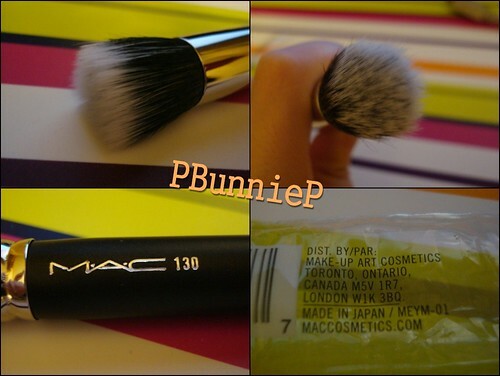 The new MAC #130 brush is here. I've heard lots about this being the combo of the famed 187 & 109...well upon first impression let me tell you that this baby is well...SMALL. Its dense and the fibres are tighter than the 187 for sure. 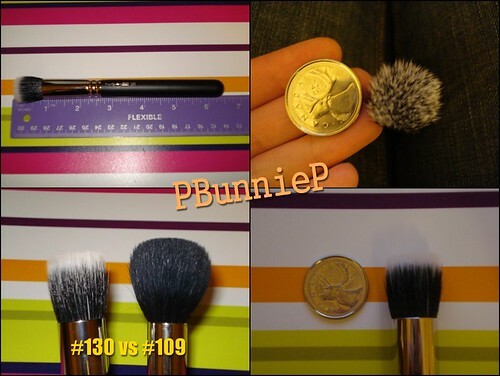 While I love the 109 I find that the all natural hairs tend to absorb my foundation and gets gunky really quickly. Hopefully this #130 will be my solution to flawless foundation! This brush, because of it dense and duo-fibre qualities would be great for cream foundations because it would really spread it well across the skin evenly. I will try it with my Scott Barnes cream foundie once I've washed it... was so excited that I had to snap some shots first. For the money, I'm really paying for innovation more than quality I think. Not that I dont love the quality of MAC brushes but I feel the style is easily made by other companies... I've been looking for a brush like this for ages, yet I've never found one. So MAC was my only choice.